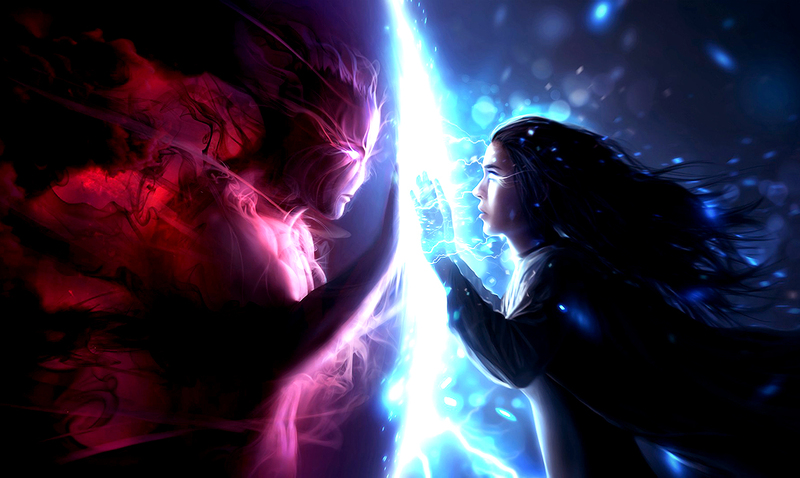 Lightworkers and empaths are very similar, and yet also very different. While empaths and lightworkers work well together they are not the same thing. Empaths are people who can absorb and truly feel the emotions of others. While they do enjoy healing/helping others, this does not make them a lightworker. However, I am sure there are some people who can be both just that not all are both. A lightworker is someone who is working to save the planet. Someone who was sent here for that purpose. Lightworkers are extra sensitive and can often be quite receptive to any energies they come in contact with. See? Not the same thing, but they are still quite similar. The empath will become overwhelmed in crowds and can tell when someone is being dishonest whereas the lightworker likes to be out and about for the most part and is not quite intuitive. Below you will find lists of the characteristics of each of these two things. Regardless of which of these two you are, you are wonderful. If you are an empath or a lightworker you need to work to control your gift. There is nothing worse than an uneducated individual with a skill like this. A sense of urgency to fulfill your life mission before knowing that you are here for a higher purpose. Take a look at the video below for more information on this subject. While you may have thought you were one thing before this article, chances are you are in a very different mindset now. You are in control of your own mind. Be true to yourself.